We are delighted to officially announce that striker Mitchell Page has joined Weston-super-Mare AFC from Paulton Rovers. 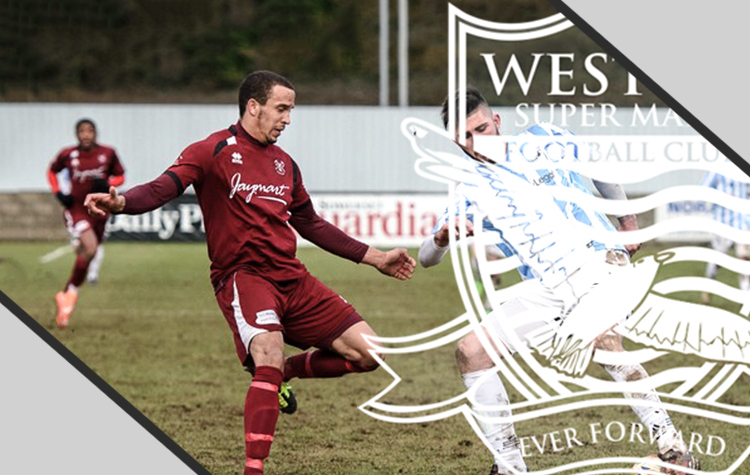 The powerful forward brings diversity and unselfishness to the Weston squad, and is set to resume his relationship with former-Paulton poacher Scott Wilson, with Page playing a major hand in Wilson’s success with the Southern League club. Seagulls’ boss Ryan Northmore commented, “Mitchell is a selfless front man who can provide us with a more physical dimension. “It will take him a week or two to get up to speed at this level but he is a very useful addition”, concluded Northmore.